For those guests who have only half -a-day available or wish to spend the morning up to lunch on Safari, this is the perfect tour for you. For the African Safarra, the imagination runs wild with scenes of a copper sun sinking low, painting the sky with all its glory and kissing the ancient land good night. That dream safari is around the corner… Choose from one of our Safaria Kruger Park Safari Packages and let us share with you the iconic Kruger National Park. Experience the iconic Kruger National Park on one of our premium Kruger Park Day Safari tours that takes you on a Expert Guided Half or Full Day Safari through one of the greatest Big 5 wildlife destination on earth. Safaria offers guests Overnight Kruger Park Safari packages within the park so guests can truly experience and enjoy the adventure of staying overnight in this iconic destination. For a truly luxurious Safari experience we have hand selected these Luxury Safari Lodges that will immerse you in an exclusive safari experience you will never forget. 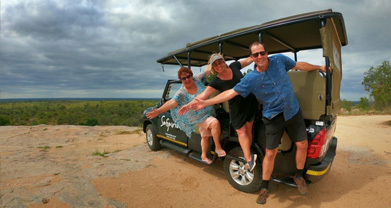 Why self-drive when you can experience Kruger National Park from your very own and exclusive Open Safari vehicle with Private Guide. Let us accompany you on your Kruger Park Safari to truly enrich your experience. Safaria’s Exclusive Guided Kruger Park Safari Tours have been created to provide our guests with an authentic Kruger Park Safari experience. We journey through the African bush, sharing with our guests, an authentic, unrushed, story-filled experience of life on the African plain. Join our passionate guides on luxurious Open Safari Vehicles and let the bring you closer to all of the Kruger Parks natural wonders. 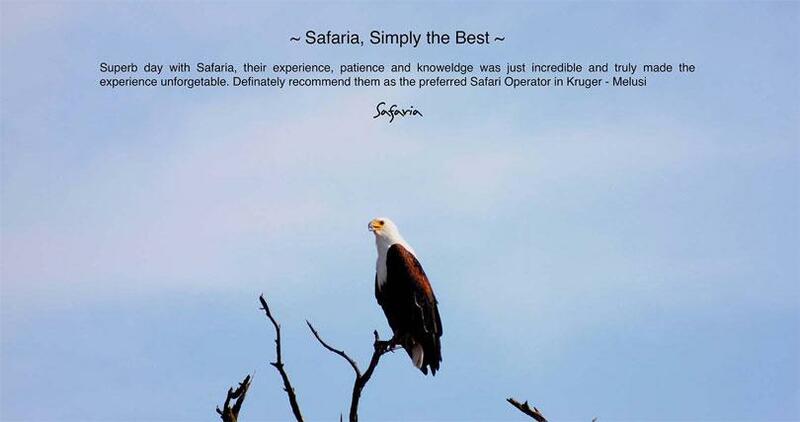 We are a Tripadvisor recommend safari operator in the Kruger Park. from half day to full day safari tours departing daily. Want to experience the Kruger for a bit longer then our 3 or 4-day Classic Kruger Park Packages is perfect for you. Based in White River, on the door step of the Kruger Park, Safaria is able to access all of the local entrance gates (Paul Kruger Gate, Phabeni Gate and Numbi Gate) and provides Kruger Park Day tours from Hazyview, White River and Nelspruit. 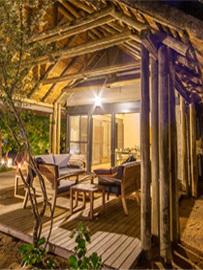 This gives our guests a variety of Kruger Park Accommodation options. From White River we are conveniently situated to access both the KMIA (Kruger Mpumalanga Internation Airport) as well as Skukuza Airport. 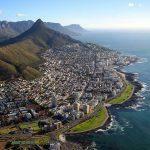 The Skukuza Airport has local flights direct to and from Johannesburg and Cape Town daily. With our Exclusive Safaria Transfer services, we provide our guests with a luxury Kruger Park Transfer to their accommodation of choice as well as collection and drop off services to the Kruger Park gates and camps. 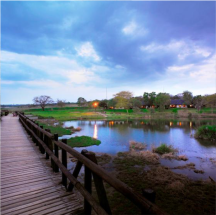 There are many beautiful destinations to stay in and around the Greater Kruger National Park. We have our own preferred destinations and are able to assist you with these bookings on your request. We also provide Privately Guided Safari experiences to hand selected luxury destinations in the world renown Sabi Sands and Timbavati Game Reserves. As the Premium Kruger Park Safari Operator we look forward to sharing with you this iconic African Wildlife destination and taking you on a Kruger Day Tour that you will never forget. 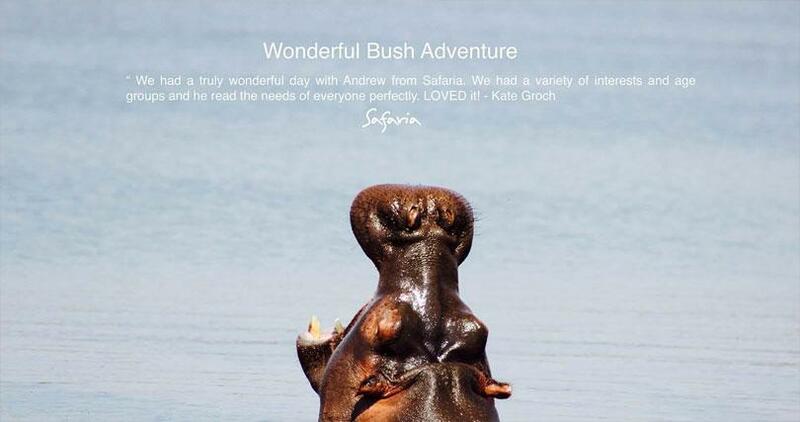 Safaria plans the perfect Safari itinerary around these selected destinations. Offering a very personalised experience. For more detail please view our Privately Guided tours and see why it’s such a popular request. 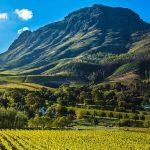 South Africa has a long-standing heritage for being one of the best Wildlife Safari Destinations on earth. A country that is rich in beauty, diverse in culture and home to the iconic Kruger National Park.We do Safari pick ups at the following Kruger National Camps•	Skukuza •	Pretoriouskop •	Orpen •	Satara •	Berg-en-DalWith nearly 2 million hectares of unrivaled bio-diversity that is home to Africa’s Big 5, the Kruger Park is infused with a rich historical, cultural and archeological heritage. With over 147 mammals, 500 birds, 118 reptiles and 2300 plant species, It’s a place of dreams for anyone who wants to Travel to South Africa. It’s here that we offer our guests the Premium Kruger Park Day Safari Tour where the story of the bush and all its characters is told and celebrated. We track and trail its wildlife, we share the stories of the old traders and rangers. 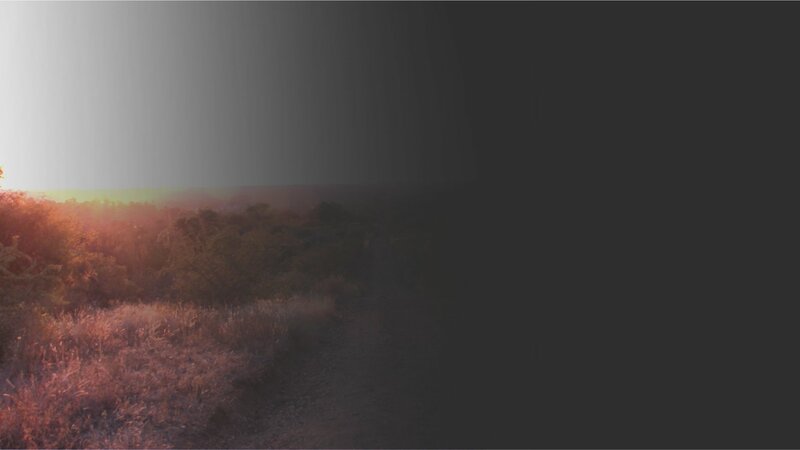 We look with awe over the magnificent land celebrating Safari and taking you on the journey with us. 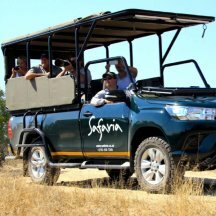 This is Safaria, the Premium Kruger National Park day safari / tour experience.Safaria offers a number of Premium Kruger Park Day Safari Tours available to choose from. From Half Day Kruger Park Safaris to Full Day Kruger Park Safaris as well as Privately Guided Safaris for the guest looking for a more private and exclusive safari experience.Early origins of the Kruger National Park AreaPeople have always felt a mysterious attraction to the Greater Kruger National Park area. Long before it had been named this area attracted ancient tribes that made it their homeland leaving for us intricate relics and artwork to find and observe in our modern age. The Stone Age Bushman of the Kruger National Park area occupied this wilderness between 500,000 and 100,000 years ago surviving of the land with ingeniously fashioned implements used in there every day lives. They hunted and gathered for survival leaving their story engraved or painted on rocks throughout the Park. For thousands of years these people lived in harmony with the land and all her creatures. Little did these original people know that Nguni speaking tribes where filtering there way down through Africa bringing with them herds or livestock and a pastorilst way of living. These new iron age migrants lived in mud huts, planted crops and had learnt the skill of forging metals and irons to create the necessary tools to live more successfully. Evidence of these people here discovered in the Northern Kruger National Park at a place called Thulamela near Pafuri.View our Langa Sunrise SafariAs these early Nguni speaking tribes searched for more productive areas due to the effects of Malaria and Tstetse flies they slowly displaced the primitive Bushman people eventually pushing them out completely. Fast forward a few thousand years and in the early 1800’s Arab and Portuguese traders had settled on the Eastern Seaboard of South Africa. There focus was Ivory and Slavery. As this advanced commodities diversified and soon Gold was being traded as far as Zimbabwe (Monomotapa) which eventually forged the way for transport routes through the South African Lowveld to then Delogoa Bay now known as Maputo Mozambique.When Gold was discovered near Pilgrims rest and Barberton in the late 1800’s fortune seekers from far and wide flocked in their droves to claim their stake in this early gold rush. With the many new migrants making their way into the area there was a great deal of pressure placed on the wilderness and in particular the wildlife. Early settlers and their effect on the land, which is today Kruger National ParkWith the influx of the Nguni tribes and the early settlers and their need for land and hunting of bush meat, it’s wasn’t surprising that without any regulation the natural game that occurred in this area was severely impacted. Not surprisingly the wildlife numbers started to dwindle. For this reason new hunting regulation was put in place to manage and curb the scourge of slaughter. This did work to stabilise populations but there was another blow, which struck, the rinderpest. This epidemic reached Southern African in the late 1800’s killing all cattle and wildlife that stood in its path. Many South Africans were now very concerned as to the levels on natural occurring wildlife and the idea of state controlled reserves again took the spotlight. The History and early beginnings of the Kruger National Park.The long and expansive plateau of Africa that runs down into South Africa is known as the Highveld. This plateau runs east of the escarpments creating a knifes edge that drops down onto a broad plain know as the Lowveld. This setting gives rise to that of the Kruger National Park. A tremendous amount of myth and speculation has risen around the origins of the Kruger National Park which then President Paul Kruger of the ZAR (Zuid-Afrikaansche Republiek) envisaged with great wisdom as a critical wilderness to preserve so that our future generations would have a glimpse of what Africa use to look like. Today we couldn’t be more grateful for this true act of vision and celebrate what has come to be regarded as one of the greatest wilderness areas on earth. For many years it had become clear that wildlife played an important role in foundation of the then Boers economic outlook. With dwindling wildlife numbers in the Lowveld area, the Volksraad, who was the governing body of the ZAR, Established a board to declare areas of land closed to hunting. By 1889 it was apparent that the great herds where almost reduced to zero and something drastic had to be done. It was at that time that many private citizens, sporting associations and various groups started lobbying for a protected reserve in the Eastern Transvaal. The continued pressure eventually resulted in the proposal to protect an area between the Crocodile and Sabie rivers. Volksraad records show that the first proposal was made in 1895 by Mr JL Van Wijk, the representative from Krugersdorp and a Mr RK Loveday from Barberton, which was unanimously approved. It took a further 3 years before the before the necessary regulations had been published by President Paul Kruger. The presidential proclamation of a Government Reserve was gazetted on the 26th March 1898 and this newly fledged area became know as the Sabie Game Reserve.The Sabie Game Reserve, which was essentially the precursor to the Kruger National Park, occupied an are of approximately 250,000 hectares, which included the present day camps of Skukuza, Pretoriouskop and Malelane. This newly proclaimed area was initially placed in the hands of two policemen namely Sargent Izak Holzhausen and Corporal Paul Bestbier. Their tenure was quickly interrupted with the onset of the Anglo-Boer War fought between the British Empire and the Boer Republics.After the War Major James Stevenson-Hamilton of the Sixth Innis killing Dragoons was appointed as the first Warden. His appointment was not with out intention as he hailed from a long line of favoured game stewards from Scotland and his devotion to this cause was later regarded to have become his life’s obsession. When Major Stevenson-Hamilton arrived in the South African Lowveld in 1902 he was surprised to have found very little wildlife in the so-called area of protection. With immediate effect he began the task of curbing poaching and removing anything that stood in the way of his vision. This didn’t make him popular and was regarded as an annoyance to both black and white locals. It was in 1903 that he managed to successfully lobby for a 20km extension of the western boundary providing a greater range and area of diversity for the wildlife to occupy. 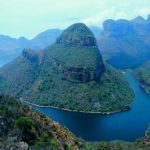 In the same year of 1903 the British Colonial Administration established the Shingwedzi Reserve in the Northern region of the Lowveld. This newly proclaimed reserve comprised of an area that was 500,000 hectares and lay between the Limpopo and Letaba rivers. Major Stevenson-Hamilton was to also be in charge of this new reserve. The area that now separated these two reserves had been surveyed for private farm use and where mostly owned by companies that made little use of their land. Major Stevenson-Hamilton’s vision was to consolidate these areas and he successfully managed to negotiate a leasing scheme for review every few years whereby these private tracts of land effectively became part of these already proclaimed reserves. With now control over the “Greater Lowveld” conservation area he forged forward with an uncompromising position against the miss use of land and hunting. When the lease for the western portion of the Sabie Reserve expired in 1912 he was forced to relinquish this area to winter grazing rights for the local sheep. In 1914 the British Army recalled Major Stevenson-Hamilton to France for the duration of the 1st World War. In his absence the Union Government decided to appoint a special commission with the sole intention to decide the fait of current and future Reserve areas. With hunting no longer being a major economic focus the initial idea for Game Reserves had now lost its purpose and was under scrutiny. With pressure to open these areas up to farming as well as the cost of up-keep the pressure mounted. With the possible de-proclamation hinged on a single whim it was a new radical idea that ultimately saved its existence and that was the idea of a National Park that could be used for tourism and revenue generation. This was a long shot as the initial establishment of the National Parks model proved to be more aesthetic and less commercial but this idea excited the imagination of the South African public. After further examples of success in the United States and the continued lobbying by Major Stevenson-Hamilton it was eventually recommended that the Reserves be given the status of National Park but sadly after the decision nothing was done. Many years of great uncertainty passed as Major Stevenson-Hamilton and other supporters watched these Reserves decay and reaching a critical low point in 1922 with mounting pressure from both the Mines and local farmers. Stevenson-Hamilton fought hard to secure the right opinions and a high moment was achieved when the then Minister of Land Colonel Deneys Rietz was won over only to suddenly loose his position when a new Afrikaner Nationalist government was ushered in. It was only good fortune that the new incoming Minister of Land, Piet Grobler was the grandnephew of Paul Kruger and had a keen interest and passion for the wilderness. He personally championed the legislation for the National Parks bill and after the name “Kruger National Park” was suggested it was quickly seconded by General Jan Smuts, leader of the opposition and was passed and acclaimed. On the 31st of May 1926 the National Parks Act was promulgated and the Kruger National Park was the first protected area. The development of Tourism in the Kruger National Park. At the time of their proclamation, both the Sabie and the Shingwedzi Game Reserves had very little development and infrastructure. It was only in 1916 when the appointment of the first Game Reserves Commission that was under the chairmanship of Mr JF Ludorf, that the very real possibility of a tourism model was raised and documented in an official report during the year of 1918. The “Game Reserves” Commission highlighted and placed emphasis on possible merger of the Sabie and Shingwedzi Game Reserves with a recommendation to proclaim it a National Park with the main objective to conserve and protect nature. As part of this commission there lay the notion to develop guest tourism infrastructure to generate a commercial return and to do so along side conservation as this wouldn’t conflict with the primary objective. To further motivate this the commission highlighted the educational aspect as well as the establishment of further research facilities to drive conservation studies and utilise these reserves as a framework for future development. The idea of a pristine ecosystem also suggested that these Reserves would be of great interest and attraction for visitors. Sadly after a tremendous amount of hard work and lobbying nothing came of these initial recommendations and the proposed framework. It was only 5 years later in 1923, when the South African Railways (SAR) established a tour by rail that followed a route through the Lowveld to Maputo (then Lourenco Marques) in Mozambique that its potential once again reached the table. It was this initial guest exposure to the area that the idea of a tourist destination to promote and enjoy this pristine wilderness was again discussed. From these discussions it was agreed that an overnight stop in the Sabie Reserve, at the Sabie Bridge (Skukuza) be included on the itinerary but more specifically for convenience rather than it being identified as a wildlife attraction. This addition to the itinerary gave Stevenson-Hamilton an opportunity to try and convince the Commissioner of the Railways that a day excursion through the Sabie Reserve with all its wildlife would enhance the “round-in-nine” tour and provide for a much more enjoyable railway excursion. After much discussion and lobbying eventually Stevenson-Hamilton’s request became a reality and the itinerary was rearranged so as that trains would travel from Komatipoort to Sabie Bridge (Skukuza) during daylight hours so that guests could take in and appreciate the surrounding fauna and flora. To enhance the experience Major Stevenson-Hamilton arranged that one of his game rangers would accompany the tourists to shares stories and enlighten them to this wild savannah. At Sabie Bridge there were no actual facilities for the overnight tourists and they would sleep on the train. The game rangers responsibilities where to create interest for the area by sharing personal accounts with the wildlife and telling anecdotal stories around the evening fire. The inclusion of this overnight stop proved to be very successful and it soon after became a very popular attraction and destination with the tourists. From these early beginnings and the formal proclamation of the Kruger National Park in 1926, the concept of a tourist destination for commercial benefit had successfully be presented and tourism for the area was ripe for discussion. At the first board meeting that was held by the commission on the 16 September 1926, the commercial value of tourism for these Reserves was officially recognized. In order to effectively attract tourists to generate income, it was decided that a network of roads was required both main roads and various secondary roads for the benefit of game viewing to promote the wildlife. The commission together with Stevenson-Hamilton established and idea that would see local guides accompanying the tourist at a further fee to show them the surrounding wilderness and also ensure safety. During these early stages of development it was also decided that a fee should be charged for guests wishing to take photographs of the wildlife and terrain. Lastly there was a third proposed source of revenue in that of the writing of articles about the reserve, its wildlife and personable stories that could be used to sell the Reserve as an attraction to foreign visitors. With a tremendous amount of effort being put into marketing and revenue generation for the park what soon became apparent was the lack of accommodation facilities for tourists, which now presented a significant problem. In early 1927, the board of the South African Railways (SAR) decided to approach the commission with the request to erect simple accomodation whoich could be rented back to the SAR for their own purposes. After much discussion there was no material outcome of the idea. During the same year the commission, through the mediation of Stevenson-Hamilton, managed to reach an agreement with the SAR to work on a joint strategy that focussed on the development of tourism within the Reserve and effectively creating its own industry for revenue generation. The outcome of this was a unanimous decision by the commission to build roads, accommodation and other facilities that would promote paying tourism and exclusivity of the Reserve. In exchange for the establishment of infrastructure the SAR undertook to provide all transport to and within the Reserve by way of either rail or road. Along with this mandate the SAR would also be responsible for driving an effective marketing campaign, provide catering services and pay the board of the Reserve a percentage of the income generated. To kick of this new initiative a network for roads had to be built. The first of these where a four two-track road from Crocodile Bridge to Lower Sabie which was built by CR de la Porte, a road from Acornhoek to the Mozambique border that went via Satara, from Gravelote to Makubas Kraal near Letaba and a final road from White River to Pretoriuskop. During August of 1927 the board decided to open access to the Pretoriuskop area for tourists. This would be the first concession to be utilised for tourism. In the early days this was an operational challenge and required guests to get a permit of access either from the secretary of the board in Pretoria, the warden at Skukuza, the game ranger at Pretoriuskop or from White River. This access was also only granted for daylight hours and tourists had to leave the Reserve on the same day as no overnight facilities were provided for at that stage. As you would imagine the process of acquiring a day permit was rather confusing and many visitors would often pass Mtimba (Post of Ranger Wolhuter) without reporting themselves. In 1929 the Board appointed Mr A Moodie as agent to issue permits. It was only 1931 that a fulltime gate official, Captain M Rowland-Jones was appointed and stationed at todays Numbi Gate. In light of the required accommodation facilities in the Reserve many additional proposals had been received since 1927 in order to promote and increase tourism. One of these proposals was to build a hotel at the Sabie Bridge but this was seen as impractical and ultimately rejected by the board. A further proposal was also motivated by the SAR for the construction of a low level bridge as a vehicle crossing over the Crocodile River on the southern boundary. In reviewing this proposal the Board asked the SAR to rather open their own railway bridges over the Crocodile, Sabie and Olifants Rivers for motor vehicles to have access as well as make the train service on the Selati Railway available for tourists as well as officials of the Board. Further to this the Board requested that the SAR also accept responsibility for the building of a road that went from Crocodile Bridge to Satara and the small town of Acornhoek in the central area of the Reserve.The First Tourist Facilities in the Kruger National ParkIt was finally in 1928 that the establishment of facilities for tourists finally commenced. The first three tourist “rest huts” were built at Satara, Pretoriuskop and Skukuza. At the same time that these hits were being built a further six additional huts were also being planned for development. These huts, or rest huts, each consisted of a set of rooms with a carport. Sadly nothing came of the six planned additional huts, but later in 1929 two rondavels with a radius of six metres and ten and a radius of a little more than four metres had been erected at Skukuza with two additional rondavels being built at Satara. Rest camps of the same size of Skukuza had now been envisaged for Pretoriuskop, Satara and Letaba Camps. There was also the idea of two smaller rest camps with six rondavels each that had been planned for Balule and Olifants Poort (Olifants Gorge) near the confluence of the Olifants and Letaba rivers.Construction on the rest camp at Olifants Poort commenced in later part of 1929. The continued into 1930 and apart from the two additional rondavels built in Skukuza, four more had been erected at Pretoriuskop, fifteen at Satara, twelve at Letaba, six at Balule, one at Olifants Poort and four at Malelane. At Lower Sabie a five-bedroom guesthouse of wood and steel was erected from what was previously Tom Duke the areas Game Rangers quarters. This had now been restored and made available for tourism. All the rondavels that were built during the period of 1929 to 1931 were according to the so-called “Selby” construction style. Paul Selby was an American mine engineer who had come to South Africa and served on the Board of the Reserve. His hut design had a gap between the wall and the roof and a small hole on the top half of the entrance stable door. The hole in the door was intended as a peephole for dangerous as at that time the camps did not have any fencing. These initial Selby huts attracted much criticism over there design as they were seen to be too cold in winter, too dark as a result of no windows and lacking in privacy because people see in through the top of the stable door. Over and above these points the holes in the structure made for easy access of mosquitos carrying malaria. Having learnt from this initial design all huts from 1931 had windows that could open and close. During this period of the early nineteen thirties, a tremendous amount of positive progress was made with the establishment of tourist focussed facilities. With the development of rondavels in early 1931 it was decided later in the year to also look at using tents. These classic old white travel tents, which each had four beds, were first commissioned at Skukuza and Satara camps. Over and above developments at Skukuza, Satara, Olifantspoort, Pretoriouskop, Malelane and Crocodile Bridge camps its was decided that a further six sites be identified for further facility development. In late 1931 after agreement from the board construction began at Rabelais Gate. It was ambitiously suggested that greater presence was required in the far North of the park and so in 1932 Punda Maria camps was identified and the first huts were built. These huts were constructed of traditional material in that of a wattle and daub, as cement could not be afforded during the early stages of development. A small rest camp was built at Malopene during 1932 with an additional small temporary camp next to the Tsende River at Mabodhlelene later in 1933. These camps were small and simple and only comprised of tents. Later in 1933 the Reserve commenced with It was only in use for a few months, before construction of Shingwedzi rest camp as the replacement for these two small camps Initially Shingwedzi Camp also only consisted of tents but by 1935 the first three huts where built that each had 3 rooms. Incredibly the 3 original huts are still functional with the roof and external wall structures still in use today. During 1932 the first ablution block was also built at Skukuza and this provided guests with a four baths and four-shower cubicle. At the same time it was decided that camps needed to be fenced. There was also further experimentation with a new hut design later in 1935 and once approved the first new Knapp-Huts were erected at Skukuza, Crocodile Bridge and Letaba. This new design made use of a square foundation with corrugated steel roofs. It was later felt that these huts did not suite the Reserves requirements and no further huts were erected. In 1934 the SAR and the Transvaal Publicity Conference made an urgent plea to the Board to provide more accommodation. Under this pressure it was even proposed to SAR to park a number of coaches at Skukuza to serve as sleeping quarters. This proposal could not be executed, as it would have been illegal. In order to secure the required funding for more accommodation in the Reserve, during 1935 a South African Publicity Conference with the backing of the Publicity Associations of Pretoria and Johannesburg formalised a proposal that was directed at the Government for a donation of £50,000 (R900,000). The donation was to be used for an additional 150 beds at Pretoriuskop rest camp and a new rest camp at Lower Sabie that would accommodate 200 visitors. Over and above all these new developments one inclusion that was critical was that existing huts had to be made mosquito-proof. During August of 1935 the Government communicated that an amount of £30,000 (R540,000) had been approved for the development of tourist facilities. The Board decided that only R720,000 of this amount would be applied for tourism and that the other R280,000 for the provision of water sources for game. In the meantime the Board had instructed architect firms Leith and Moerdyk to prepare plans for the anticipated developments. Gordon Leith was tasked to present a design for the new Lower Sabie rest camp, while Gerhard Moerdyk had to deal with extension of Pretoriuskop rest camp as well as Malelane. By the end of 1935 the plans were already finalized, with an additional proposal that eight to ten wattle & daub huts be erected at Tshokwane. The Board accepted the latter proposal on condition that there were sufficient funds available. The architects, as well as the executive subcommittee of the Board, had not taken account of the chairperson, Judge J de Wet. Not only did he regard the hot water for showers and baths as unnecessary luxuries, but he could not identify with extravagancies such as septic tanks, retail areas, a dining room, etc, for rest camps. According to his view, there was only a need for sleeping facilities and nothing else! The plans by Leith for Lower Sabie, were accordingly rejected on grounds that it would be too expensive, and instruction was given to Moerdyk to draw up a new – and significantly cheaper – plan.With over a decade of facility development and construction it was finally decided in 1946 that the last two rest camps to be developed for tourists were Lower Sabie and Pafuri. After the closing and later demolishing of the guesthouse at Lower Sabie, it was later decided that a new rest camp should be built. The initial buildings of this new rest camp were designed by architects Gerard Moerdyk and were finally completed during 1936. 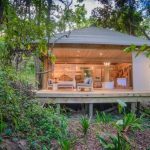 This new Lower Sabie rest camp comprised of three large units with six bedrooms each and was designed in a U-shape. In the north a tented camp was opened in 1939 on the banks of the Luvhuvhu River, where the current Pafuri picnic spot is. Only 12 months later was the camp closed due to heavy rainfall, flooding and mosquitos. Early tourist amenities in the Kruger ParkIn 1936 the issue of hot water for tourists to bath and shower once again came under discussion. It was decided to provide such as a “luxury” for guests at only certain of the various rest camps. This naturally led to differences of opinion amongst the board and it was again decided to be a rather unnecessary luxury, which the Board did not have the required budget to fund. It wasn’t until 1939 that the request for hot water was again tabled and finally agreed. As a condition it was decided that men were only entitled to hot and cold showers, and ladies were only allowed hot water for bathing. This was strictly for use between 17:00 and 21:00 in the evenings. Creating Kruger Parks Picnic Spots – To Fence then in or not?In 1938 the warden expressed his concern about picnic spots and indicating that visitors at such unprotected alighting points are subject to unnecessary dangers. The Board was of the view that as rest camps were far apart, such points were justified. After consideration of the matter, it was decided that they should be maintained, but that all picnic spots had to have a Black caretaker and that all shrubs and grass on the terrain had to be cleared. Stevenson-Hamilton was not satisfied, and in 1939 he repeated his warning. The Board maintained its position and as additional preventative measure, it was decided that in future, picnic spots would not be indicated on tourist maps and that warning signs be erected.Kruger Park Fees in the early daysOne of the main driving forces for the initial introduction of tourism in the Park was that it would provide a welcome source of income. With the initial opening up of the Pretoriuskop area to day visitors, the only monies that could be charged were the admission fees of £1.0.0 (R2). In 1928 the Board decided that five shillings (50c) per person would be charged at all entrances gates, with the single exception of Punda Maria but that a minimum of R2 had to be charged per vehicle. Admission permits could be obtained from game rangers, but also from agents in White River (Legogote) and Rubbervale (of Gravelotte). During the same period visitors on the SAR “round in nine” had to pay R10 per day. This fee included the services of the game ranger. To deter heavy vehicles from entering the Park, an admission fee for business purposes of R10 per heavy vehicle was charged. An additional source of revenue was also offered by the pontoons over the rivers. Until the end of 1931, tickets could be bought for 50c. These tickets were valid for seven days and covered any number of crossings on the same pontoon. In 1932 tariffs were increased and vehicles were charged 25c for every time a pontoon was used. Trucks had to pay 50c. Pedestrians were required to pay 25c for the first five persons, and 5c per person above this amount. Establishment of Retail and Catering ServicesTo the uninformed it may today be difficult to understand why the Boards did not manage its own retail business from the early starting years. It must be kept in mind that it was exactly an acute lack of funds that limited the early development, preventing the Board from launching its own projects. This was not the only reason. When an application was submitted in 1929 to open a “tea-shop” at Pretoriuskop, it was declined on grounds that it would prejudice the “natural facilities” of the Park (whatever that may mean!). By 1930 it was pointed out to the Board that the game rangers at Satara and Skukuza just could not attend to the administration and maintenance of the rest camps together with their other commitments. Subsequently it was suggested that contractors be appointed who would perform these duties under supervision of the game ranger. After consideration and reference of the matter by the executive committee of the Board, the suggestion was accepted. In March 1931 the contract for the management of Skukuza and Satara was awarded to P.W. Willis and, as result of increasing tourist traffic, a similar contract was awarded for Letaba in September of the same year. The contracts that were awarded to external contractors in this manner resulted in them being responsible for the entire administration of the rest camps. This included the issuing of permits, all retail and catering, rental of bedding and even the erection of their own buildings. In November 1935, the Board decided to appoint their own camp supervisors, resulting in external contractors activities being limited to retail and catering. The first rest camp supervisors were appointed at Pretoriuskop in 1936, Skukuza and Lower Sabie. In the early years the Board could not make much profit out of its own camps, and revenue was limited to the renting of huts. At that stage the huts were only equipped with wood and “riempie” bedsteads and any additional items such as mattresses, sheets, blankets, pillows, pillow cases, towels, etc could be hired from the contractors. Initially the renting of a hut cost one shilling (10c) per person per night. As soon as the Board provided luxuries such as hot water and the services of hut attendants, the daily tariff was increased to 25c per person. The increase in the tariffs led to serious dissatisfaction with the visitors as it was also applicable to children under 16 years. The Board (wisely) yielded to the pressure, and the tariff for children was reduced to 10c per night. Visitors not using hut accommodation were required to pay 10c and children under 16 years 5c per day for a site (camping). Bedding could be hired from the contractors and after vehement objections that the fee of 30c for a mattress and four blankets was extravagant, the fee was adapted as follows in 1934; a mattress would cost 5c per night, blankets and pillows 2,5c each per night. Packages were also offered, such as a mattress, blanket, pillow and pillowcase at 70c per week, or even better, a complete bedding set, inclusive of sheets, for R1 per week! Only in 1940 did the Board take over the hiring out of bedding and at a nominal fee of 25c for three blankets, two sheets and two pillows per night, 15c for any additional nights and R1 per week! By then inner spring mattresses could also be hired at 20c per night. In 1938 a proposal to the Board to hire towels – initially only at Pretoriuskop – was rejected as it would only provide a marginal income.First Tourism Supervisory StaffMany problems were encountered over the years with external contractors and the tendency was that the Board would take over such responsibilities, even if such decisions were made with reluctance. After repeated complaints, the Board appointed their own rest camp supervisors in 1937 at Satara, Letaba and Punda Maria. A proposal that the Board take over all catering as a result of general dissatisfaction was rejected. Instead it was decided to offer the catering to the SAR, but they did not see their way open to accept that. In 1943 councillor Orpen requested that a sub committee of the Board be appointed to thoroughly investigate the retail agreements, canteen services, control over rest camps and control over tourism. The Board agreed and a year later a subcommittee was appointed. The subcommittee already recommended in 1944 that the Board take over control of all retail and catering, and that an official be appointed that would accept responsibility for all retails, catering, rest camps and tourists. Such an official had to report in a line capacity directly to Head Office (the secretary of the Board). Kruger’s decision to build Hotels or not?A further issue resulting in the Board “scratching its head” was that of hotels. As early as in 1927 a proposal for building a hotel at Skukuza was rejected on grounds that it would be impractical. In 1930 an application was received from Messrs Mostert and Potgieter of Johannesburg to build a hotel in the Park. This application was also declined, but merely because at that time there were no plans to build hotels in the Park. With the high pressure on the Board to urgently provide more accommodation, an appeal was again made to erect a hotel of some 300 beds. This appeal even had the backing of The Star. The chairperson of the Board, senator Jack Brebner, was resolute in his opposition and pointed out that hotels would not be profitable as the Park would only have an ‘open’ season of six weeks per year. In 1935 the thought of hotels even had support from the Board. Councillor Papenfus pointed out that should the Board erect its own hotels, it would be able to exercise full control over them. His proposal was supported by councillor WA Campbell, but made no impression on the chairperson and it was summarily rejected. In 1939 a businessman by the name of Lawson enquired about the Boards position on hotels on the Park boundary and specifically whether the Board would consider making additional gates available in case of such boundary hotels. The Boards took a far more compromising position and was supportive of the principle on condition that the hotels would maintain a dignified reputation and that the Board would not suffer any losses due to tourists being lured away from the Park. As a result of these negotiations it was decided that additional gates would be provided along the Nsikazi River and at Toulon to assist Lawson. He was planning to erect two hotels, one at Plaston and the other on the farm Toulon. When Lawson requested the Board whether his guests could pay reduced admission fees on second and subsequent visits, once his hotels are in operations, the Board rejected it outright. This state of affairs resulted in the business not being viable and nothing came of these plans. Due to lack of funds experienced during the early development years, the Board gladly accepted donations from willing private individuals and institutions. Already in 1929, Councillor WA Campbell, who was previously owner of Mala Mala on the Park boundary, donated an amount of £150 (R300) for a “rest house”. He later made more donations and one of the rondavels funded from such donations was converted to a museum currently in Skukuza rest camp. Supply of FuelAs a result of the location of the Park and the long distances that needed to be covered to get there, the provision of fuel was crucial from the beginning. The Vacuum Oil Company already requested the Board in 1929 to sell Pegasus petrol in the rest camps. The Board agreed to this request and by agreement the petrol would be sold at 30c a gallon (±4,5 litre) (just more than 6c a litre! ), of which the Board would receive 5c. Finality of the agreement could not be achieved immediately. During this period the warden pointed out that petrol was only needed at Satara and Letaba, as ex-ranger T Duke, owner of the Bantu Shop at Skukuza, intended to also erect a petrol pump. The rest camps at Crocodile Bridge and Pretoriuskop were near enough to petrol pumps outside the Park. In the meantime Shell also applied to sell petrol in the Park. By August 1930 Pegasus petrol was already available at Satara and Letaba. When Texas, a third oil company, also applied to sell its product, the Board decided at the end of 1930 that the product of only one company was to be sold in the Park. A final decision was not taken and the matter was referred to the executive subcommittee for further consideration. The initial decision could not be adhered to and it was decided to market only two types of petrol, Pegasus in Letaba and Satara and from 1931 also at Crocodile Bridge, while Shell Company received approval to sell its products at Skukuza and Malelane. Apparently Shell did not erect any fuel pumps at Malelane and in 1934 it was reported that Atlantic petrol was sold there and later also at Pretoriuskop, even though the request by Atlantic to sell its fuel across the park, was turned down. Rules and RegulationsWhen the Park was opened to tourists in the late twenties, there were rather few rules and regulations besides that bringing in firearms were prohibited. When overnight facilities were created in the reserve, tourists were not even compelled to return to the rest camp at night. They could casually make their campfires in the bush and then spend the night there. It soon became evident that this state of affairs would result in mischief and in November 1930 the first list of regulations, compiled for the Board, by AA Schoch, was published. Transgressions of these regulations could result in a maximum fine of R100. These regulations in many ways formed the base for the regulations currently in use and included, inter alia, the following: tourists were limited to rest camps at night, drives could be undertaken from half an hour before sunrise until half an hour after sunset, cars were limited to roads, a speed limit of 25 miles per hour (40km/h) was implemented, it was an offence to damage any objects and littering was also prohibited. By 1932 it was pointed out to the Board that the regulations did not have much meaning of they could not be enforced. The Board then decided that as from 1933 a car (or motorcycle) patrol would be implemented in order to that would care of law enforcement. This idea was later abandoned, as there were insufficient funds to implement the patrol service.Automobile Association (AA) and Royal Automobile Club (RAC)In 1932 the Automobile Association (AA) offered to station a road scout at Skukuza to undertake road patrols. The Board was obliging on condition that the AA official would not interfere with the external contractor offering a vehicle repair service at Skukuza. The AA and the external contractor could not reach a satisfactory agreement, thereby preventing the patrol service from being implemented. To counter this problem, the external contractor’s agreement was accordingly amended in 1934 resulting in the AA being able to implement its service. This service was implemented during the tourist season of 1935, with the undertaking that this would not only be an auxiliary service, but that the AA official would also assist with enforcement of the regulations. The executive subcommittee of the Board felt so strongly about the abovementioned aspect that they even suggested that the AA approach the Department of Justice so that their official could be appointed as a special police constable. This patrol service rapidly appeared to be a great success, and in 1936 the Royal Automobile Club also applied to implement a similar service. The application was approved and it was decided that the AA would attend to the area south of the Olifants River, while the RAC would patrol the area to the north thereof. While the first scheduled service to the Park was only implemented during the late sixties, the Armstrong Siddeley Development Company already applied in 1930 to offer such a service. The initial application was met with approval, but when the Board requested a more formal proposal, the matter came to a halt. Establishment of the First Roads in the Kruger National ParkUp until the proclamation of the Park in 1926, the Selati railway line, ox wagons, buggy carts, pack donkeys and horses represented the only forms of transport. There were no vehicles or roads. The first tourist services introduced since 1923 by the SAR, was also exclusively limited to rail transport. As from 1927 on, the building – actually de-bushing - of roads was started in all sincerity. Naturally, the first roads were connecting routes between established rangers posts. The first road to be developed, were therefore those from White River to Pretoriuskop, from Pretoriuskop via Doispane to Skukuza, from Skukuza to Satara and Crocodile Bridge, from Crocodile Bridge via Gomondwane to Lower Sabie (which was built in the midtwenties by game ranger CR de la Porte for his own convenience, after he acquired the first motor vehicle in the Park – a model-T Ford), from Satara to Olifants Gorge (Gorge), to Letaba via Olifants River camp (Balule) and to Acornhoek, from Acornhoek to Nwanetsi, from Letaba to Gravelotte (built by WNLA), from Louis Trichardt (Makhado today) to Punda Maria and the Limpopo River (Pafuri) (built by WNLA) and from Skukuza via Salitje to Tshokwane. In 1928, construction of the road between Skukuza to Lower Sabie was started, only to be completed in 1931. With this rapid road construction programme, a total of 386 miles (617km) of tourist roads was completed by the end of 1929. During the period 1927 to 1929, three pontoons were brought into operation, over the Crocodile River (at Crocodile Bridge), Sabie River (at Skukuza) and the Olifants River (at Balule). A so-called ‘Corduroy’ causeway was built over the Sand River at a place called “Jafuta”. In 1930, a second pontoon was introduced over the Crocodile River, at Malelane. The road construction programme continued uninterrupted until mid thirties, and by 1934, approximately 800 miles (1200km) of roads had been completed. This included important connecting roads, such as the road between Letaba and Shingwedzi (1933) and between Malelane and Crocodile Bridge (1933). In 1932 a new causeway was built over the Sand River to replace the old one and a causeway was also built over the Letaba River. Although a number of new tourist roads were built between 1935 and 1946, the main focus was concentrated around maintenance and improvement of existing road network. This was made possible as a result of acquisition of a large number of road building machinery in 1938, namely two graders, two bulldozers and a tractor with trailer! Quite a lot of attention was paid to replace the pontoons, which never operated successfully, with causeways. In 1936 a causeway was completed over the Sabie River at Skukuza as well as one over the Olifants River at Balule in 1937. Contruction was nearly completed on the one over the Crocodile River at Malelane. In 1938 a causeway was constructed over the Shingwedzi River, and with the completion of the causeway over the Crocodile River at Crocodile Bridge in 1945, this brought about the end of the last pontoon the Park. The road network as it appeared in 1946, was in itself a extraordinary achievement, if the dire state of the Board finances, the shortage of equipment and manpower and the fact that the Lowveld was relatively inaccessible for vehicle traffic, is taken into account. The thinly spread game rangers were largely responsible for the building or roads as well as rest camps, and the equipment available to them were two Chevrolet trucks, which were purchased in 1929, and a single bulldozer as from 1933! It is therefore not surprising that Board from the beginning tried all means to acquire assistance. Already in 1927, the SAR and Minister of Land was approached for financial support and the Transvaal Provincial Administration was requested to assist with the road building programme. In 1928, the Transvaal Publicity Conference lodged a strong plea that the TPA would expedite the works programme for the admission routes and causeways. It was also requested that it be adopted that the roads to the Park be used as access routes for the development of the rest of the Lowveld. Various attempts were made in the early thirties to convince the SAR to open railway bridges to road transport. The attempts proved to be unsuccessful. In 1935 a comprehensive development program for the Park was compiled, in anticipation of a donation that the Government was expected to make to the Board. In the plan provision was also made for dual track tar roads. The donation of R60 000 that was made, was too small to meet all the needs, and the Board approached the TPA and the Board for National Roads for assistance. When is became known in 1935 that the then Department of Defence (SA Army) required a road parallel to the eastern boundary, it was suggested that they be approached to build a tar road from Punda Maria to Crocodile Bridge. The effort to have the roads tarred, all failed, and in 1937, the secretary of the executive committee received instruction to enquire with the University of Pretoria about a tar emulsion that could be applied in Pretoriuskop rest camp to counter the dust problem. When the chairperson of the Board, Judge de Wet, came to hear of these developments, he vehemently reacted to it and strongly objected to these so called improvements. “Are we going to keep Pretoriuskop as a rest camp or convert it to a glorified resort?” he enquired. It was not just in rest camps where dust was a problem, and councilor Papenfus argued that the dust that gathers on the plants next to the roads, could be detrimental for the game. He was therefore strongly in favour that a loan be made so that the roads can be tarred. In September 1937 councilor Papenfus’ pleas were heeded , and it was decided to proceed with the laying of tar strips on the roads between Pretoriuskop, Doispane and Skukuza and between Skukuza and Lower Sabie. This decision was not brought to fruition. Stevenson-Hamilton remained opposed to the tarring of roads until his retirement. He expressed concern that improved roads would lead to increased speeding incidents, and that more wildlife would be killed on the roads. He felt so strongly about this that he even alleged that “….. the death toll of animals would increase beyond all bounds…”. He was not against tarred roads in rest camps. Until the end of 1946, nothing came of any improvement to roads. Besides, there were few of the existing roads that were properly graveled. The tarring of road surfaces in the Kruger Park had to wait until August 1965 when the tarring of the Naphe Road between Pretoriuskop and Skukuza was commenced. Today there are more than 1,700 kilometers of tarred roads in the Park and more than 4 200 kilometers of management roads. What kind of Accomodation is available in the Kruger National Park ? 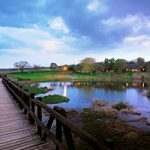 The Kruger National Park offers a variety of accommodation styles to suite every traveller’s budget. 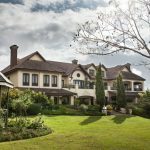 The main difference between the accommodation types offered is that of self-catering accommodation or all-inclusive which offers dinner, bed, breakfast and lunch. Where to stay in the Kruger Park: Camps and AccommodationThe Kruger National Park offers guests a choice of 12 main rest camps, 6 bush camps, 2 bush lodges, 4 satellite camps and 9 luxury camps to choose from there is a wide variety of accommodation for every budget.All the camps in the park give you a great sense of being on safari in the African bush. The camps themselves are filled with wildlife from birds to squirrels, vervet monkey, reptiles and the occasional nyala and bush buck depending on which camp you stay at. The larger camps all have restaurants, laundry facilities, banking atm’s, swimming pools and fuel stations. All camps are surrounded with fencing for guest’s safety and make it safe to walk around day or night to enjoy the atmosphere and surroundings. During the day there are a wide variety of birds species to look for and at night the sounds of jackal and hyena travel across the night sky. Within each of the camps you can choose to stay in a number of different sized accommodation units. These are all self-catering and provide guests with either communal kitchen facilities or your own personal kitchen in your bungalow. All accommodation units as well as kitchen and ablution facilities are serviced daily by camp cleaning staff. Depending on the bungalow that you select kitchen cooking utensils and refrigeration are provided. Bungalows that exclude these facilities are confirmed on booking. Each of the 12 main camps provide guests with a Park Shop that offers a wide verity of quality food and beverage as well as condiments and utensils for guests to buy and stock up on food. All of the main Camps also have a Fuel Station. Additional Person Supplements are applicable to those units where number of beds exceeds the base occupancy, if these beds are occupied. The rest camps in the Kruger National Park are all wonderful. Each Camp offers its own unique charm and are filled with wildlife of the smaller kind. All of the larger camps have a restaurant with fuel station as well as a day visitor area with picnic site and ablution. The main Camps are equipped with electricity so guests can charge devices and bring with appliances of a personal nature. The Campsites are equipped with communal ablution and kitchen facilities and certain sites have access to electricity.Something that is important to remember is that certain camps have popular bungalows and camping sites so its imperative to book well in advance if your are looking for a specific bungalow or campsite. The Kruger National Park has 5 Satellite Camps in that of Balule, Tsendze, Malelane, Tamboti and Maroela. These are smaller and quieter camps but have fewer facilities like shops and swimming pools. Tsendze and Balule camps don’t offer electricity so you would nee to be self-sufficient. 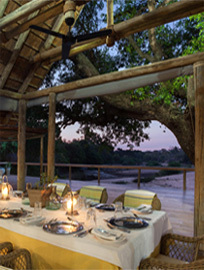 There are also 6 exclusive Bush Camps in the Kruger National Park. These are Biyamiti, Shimuwini, Bateleur, Sirheni, Talamati and Pafuri Border Camp. No day visitors are allowed in these canps and they are strictly for residents with a booking. The Bush Camps do have electricity with bungalows having kitchens and ablutions. 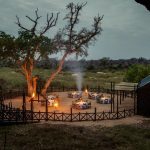 The Bush Camps offer guests offer guests a more exclusive self-catering bungalow but guests must be self sufficient with food and beverage specifically. Can Children visit the Kruger National Park? All of the Camps are suitable for Children and those with swimming pools would be most advised. The Main Camps offer large green lawns for playing, open-air movies and activities over the school holidays. What kind of accommodation does the Kruger National Park offer? Private Game Lodges are defined by high comfort, personalised attention and private facilities. 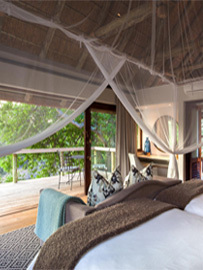 Some lodges offer permanent luxury tented safari suites while others feature thatched en-suite rooms in various settings. Guests pay a daily rate or package rate, which includes specified meals, drinks, game viewing activities and recreational facilities. The lodges are all individually hosted and situated on private land concessions within the Kruger Park which offer excellent game viewing. 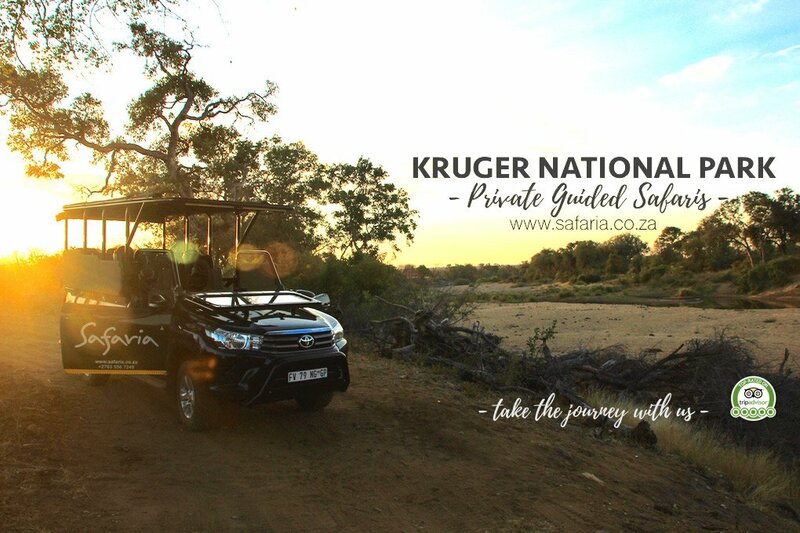 Safaria is partnered with three specific destinations in the Greater Kruger National Park offering guests specialised safari itineraries. 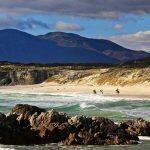 For more information on these destinations see Luxury Safari lodges and enquire now. When looking for a 1 – 8 Day Kruger Park Safari experience many guests prefer 4 star accommodations that are inclusive of Dinner, Bed and Breakfast. For this reason Safaris is partnered with many beautiful destinations within 15min of one of the Kruger Gates offering guests the Premium Full & Half Safaris through the Kruger Park. 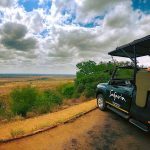 Let Safaria advise you on these destinations and assist with your bookings to ensure your perfect Kruger Park Safari experience. The Kruger National Park entrance fees are applicable for both Day Visitors and Overnight Visitors. These fees are levied at the Gates on entrance for Day Visitors and Camp Receptions for Overnight Visitors. As a Day Visitor you have access to the Main Camps and their facilities except the usage of the swimming pools. Other than Skukuza that has a Day Visitor area with a swimming pool these are for use of overnight guests only. It’s important to note that during the peak season there are limited numbers of Day Visitor’s allowed into the Park. For this reason its advised that guests allow Safaria to secure their bookings by selecting one of our Full Day or Half Day Kruger Park Safaris. Our guests receive preferential access and enjoy seeing this iconic wilderness in a luxury Open Safari vehicle with an expert guide. So when is the best time to visit Kruger National Park in South Africa? The best time for Game-viewing in the Kruger Park is during the winter months but for the visitor who prefers lush green vegetation, birding, reptiles as well as insect life then the summer months. When is the Best time to visit the Kruger Park? The warm sub tropical climate of the Kruger National Park makes it an all year round destination to visit. Whichever season you choose to visit the subtle temperature adjustments make it enjoyable all year round. 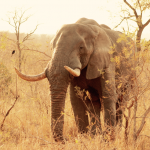 When is the best Game Viewing in the Kruger National Park? One must always remember that there are no guarantees when it comes to seeing certain game species in the Park. Seasons are important as they do effect the vegetation and for that reason game viewing can be at its best during the dry winters months. With less vegetation there is greater visibility and guests are able to see deeper into the savannah. Also with less water in the bush and fewer running rivers and streams the game will regularly visit the same waterholes, which enhances sightings. As an alternative the summer months create lush green vegetation that flowers and produces a beautiful green blanket that covers the savannah. During the summer the Kruger Parks bird life explodes with all its migrants returning providing guests with just over 500 bird species to find. Kruger National Park climate is predominantly a hot, sub-tropical climate with an average year round temperature of above 22 ° C.
Summer in the Kruger Park is generally between October and March and is regarded as the rainy season with an average rainfall of 450ml. The combination of its rainfall and average temperature make this time of year humid with daily highs above 40° C recorded. The rain does affecting the game sightings and on overcast days with rain it’s sometimes harder to view game. Summer in the Kruger Park is a time of abundant new life with many of the mammals producing their new-borns and in particular the Impala. Seeing this new life is very exciting and also provides predators with an abundant food source creating the possibilities of seeing a kill. For guests planning a trip to the Kruger National Park in the summer we recommend travel in a air-conditioned SUV vehicle and booking accommodation that has air-conditioned rooms. Safaria offers guests accommodation packages that include these and more. For Internationals travellers that wish to Camp in Kruger during the summer months we would rather recommend booking accommodation as this can be a very unpleasant experience if you are not correctly equipped. The winter months between May and August are the best months in the Kruger National Park for observing its Big 5 and other mammal species.With the lack of rain and reduced availability of water, the plant vegetation is not as abundant making the savannah less dense and providing greater visibility. During the winter months in the Kruger Park, water is isolated and game frequent to annual water sources increasing the opportunity to see more species. Kruger Park temperatures during the winter are very pleasant but the mornings and evenings can be cool with lows reaching 5°C. Midday Winter temperatures in the Kruger Park can average around 18°C so its important to pack warm clothing. 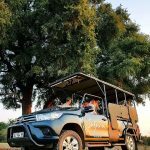 The best way to see the Kruger Park is on an Open Safari Vehicle by Safaria and we recommend that during the winter month’s guests ensure that have very warm jackets and headgear. The Kruger National Park forms part of an extensive Savannah Biome, which is predominantly Sub-Tropical with high temperatures in summer and greater rainfall. January to March still sees patches of rainfall but this reduces towards the end of March into April. This is the end of the summer season but malaria is still present and guests are advised to take precaution. Autumn in the Kruger Park is period of transformation and guests will start to see a change in vegetation with shades of red and orange starting to appear. The average temperatures begin to cool with early morning and evening staring to get cooler. The beginning of May sees the onset of winter in the Kruger Park and begins the season of cooler temperatures. The early morning and evening temperatures are notably cooler and the effect on the vegetation is evident with many plants Turing yellow brown and starting to loose their leaves. During this period there generally no rain experienced but with the changing in global climates we are starting to see occasional showers. It’s a period to ensure that warm clothing is packed. June and July are considered to be the middle of winter with the cool temperatures and lack of rain extending into August. This is a dry period in the Kruger National Park with traditionally no rain occurring and guests experiencing the lowest temperatures. At this time of year the game sightings are abundant with greater visibility allowing guests to see deeper into the bush. Water is at lowest in the savannah and dams and water points with water provide a hive of activity. This time of year sees many of the predators denning and giving birth in anticipation of the calving season in November and December. Springtime brings with it an explosion of new life. At the end of the dry season between September and October the savannah is brown and dry with limited grassland cover and naked trees. As the savannah starts to warm it attracts large cumulus clouds and the rains begins to fall mid to end of October bringing with it a cacophony of sound as new life erupts. Water brings life and new sustenance and guests start to see the first migrant birds return. November heralds the hot African summer days and nights. This time of year can be very hot with high humidity and regular rain. December is the rainy season and attracts afternoon thunderstorms or days of slow rain and drizzle. This is a wonderful period for new-borns and many of the antelope give birth to their young. This is also regarded as the Malaria season and victors must take precautions. This is a question that we get asked regularly. 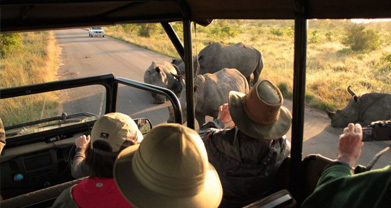 So, is there a difference between a Kruger Park Private Safari and a Kruger Park Safari Tour? Technically there isn't, but fundamentally there is. I know that this may seem a confusing and complicated answer but there certainly are differences that may seem ever so slight but do ultimately shape the experience. Here are a few personal views on the difference. 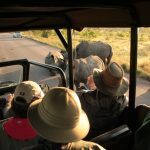 The Typical Safari Tour offers "grouped" guests either on the same itinerary or from localised accommodation a collective opportunity to see the Kruger National Park for either a morning, full day or afternoon. These usually depart from a specific destination or preferred collection point or guest are picked up one-by-one from their accommodation and then taken through to the nearest Kruger Gate. All gate entrance procedure is handled at the gate and once completed guests depart. The day usually starts early at 05h30am but dependant on the size of the group, collection points and entrance queues, access to the Park may only be around 7am. Dependant on the type of Tour selected their would be a time frame and the guide would adhere to this as there might be 2 tours on a single day. There is usually a preferred route that is kept as this allows for the sightings intervals, distances and ends timely. These Tours usually offer a fair per person rate and are perhaps ideal for the single traveller looking to meet new people or budget-conscious families. The other class of Safari offered is usually labeled Private, Exclusive, Boutique or perhaps even Be-spoke. 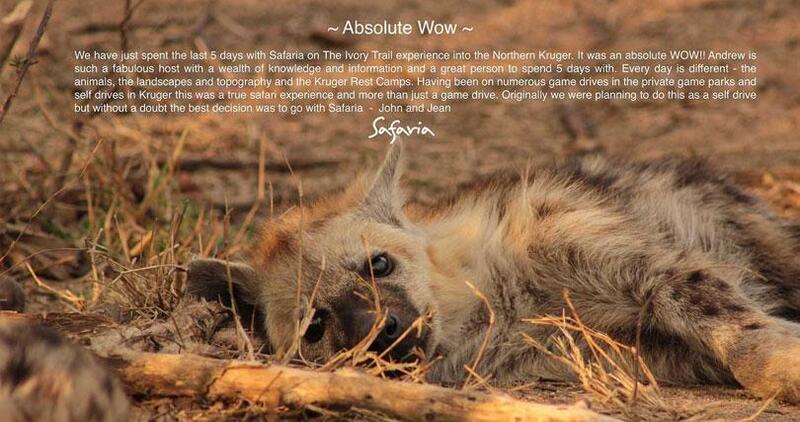 We refer to our Safaria experiences as being Premium, Custom and Personalised, so look out for these descriptors. These "usually" reference or indicate a different style of Safari and the product name is the personality of the Outfitter. These Private Safari's are completely different. Yes, they do both equally access the same destinations, roads and camps in the Kruger Park but the experience is completely different and the style is very personalised. These Safari's are customised around the client and that starts with the date of interest, time of departure and even gate of entry. We can even go as far as specific species of interest albeit this is never a guarantee. All of the guests entrance procedure is handled prior to arrival and accessing the Park is seamless, no time waisted. Guests on a Private Safari are either a couple or family group. These Safaris cater to the exclusivity of the experience and offer a one-on-one interaction that is more informative and educational. A private operator looks to download and share as much knowledge of the savanna as possible, Here the focus is on service and experience. On a private Safari attention is focussed so there is time for guides to also share their expert story telling abilities and show case the Park, its history and heritage in greater detail. A Private Safari offers guests a more personal link to the guide which builds a more rewarding interaction. Yes, the rates may be slightly higher but usually only slightly. There are no routines or time-frames and Private Safari follows a very organic process and may even take and hour or two longer based on sightings. So in closing yes i may be bias as the owner of a Premium Day Safari Outfitter but can openly say there certainly is a need for both of these products and they do successfully exist side by side. The delivery is different but so are the clients and i guess thats why its works. 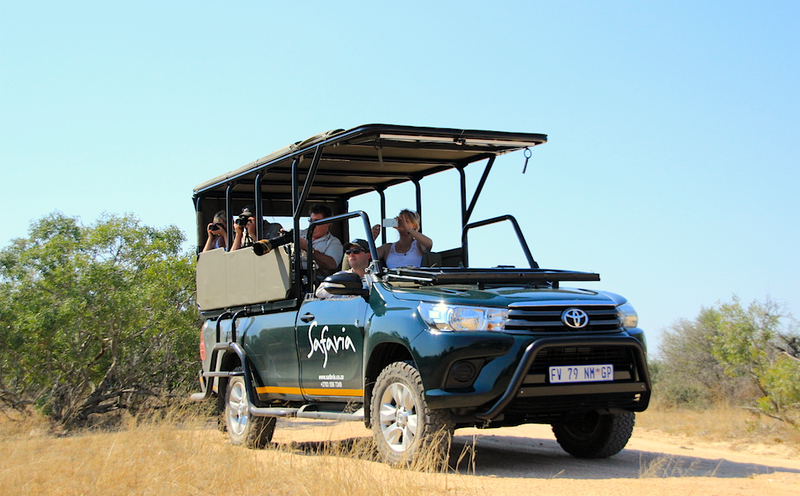 As a Kruger National Park operator our Safaria Experience's are crafted around a Premium, Personalised style of Safari. We offer guests the finest and most comfortable Open Day Safari vehicles kitted with the best fleece blankets, quality ponchos, waters, personalised sightings journals, wifi and then boutique coffees and teas for the early start. 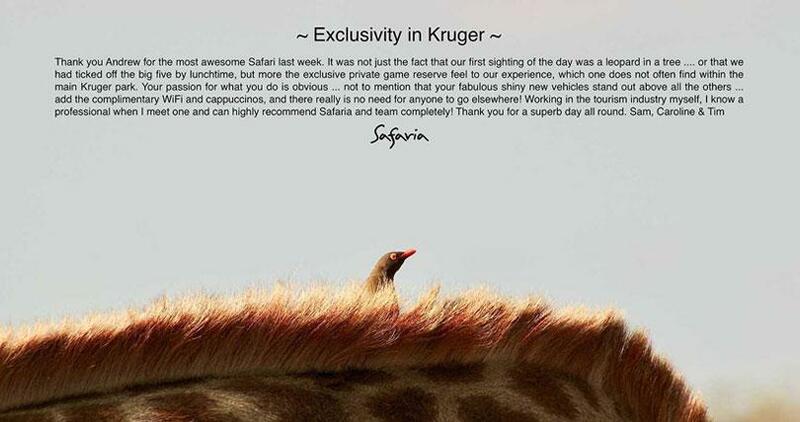 In closing have a look at what South African Cricket Legend Pat Symcox had to say about his day out with Safaria :Today was a day Estelle and I will remember forever... We spent an entire day on a game drive through the Kruger Park and saw the big 5. 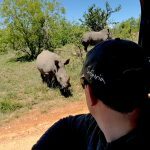 However, after many, many game drives in my lifetime I can truly say that the experience we had with a company called Safaria - owned by Andrew Wagner - we have found the ultimate Game Viewing in Kruger and surrounds company. 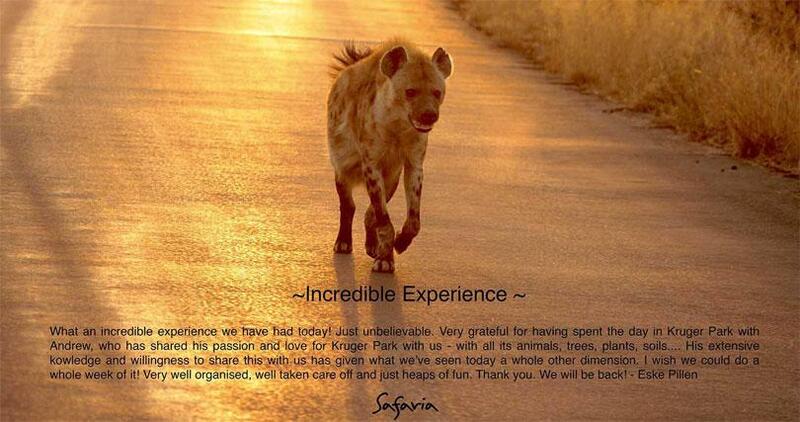 Have a look at our Kruger Park Tour Reviews to see what our guests have to say.